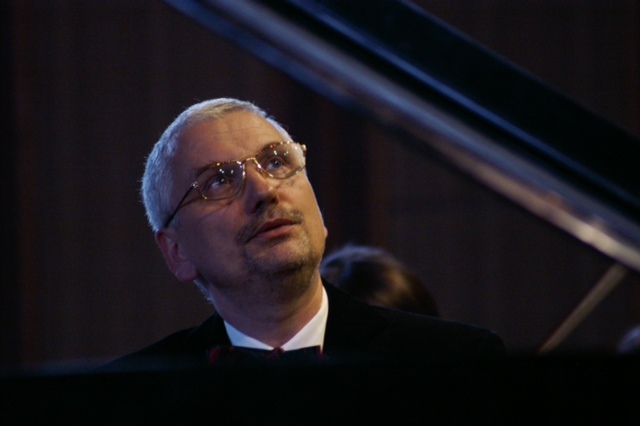 Dr. Michal Korzistka has a special place in his heart for classical and romantic composers: Beethoven, Mozart, Liszt, Szymanowski, and Chopin. He performed in Poland and abroad, among others, at the revered Chopin Mansion in Zelazowa Wola, Poland, at the famous concert series at the Chopin Monument in Lazienki Park in Warsaw, at "Atma" in Zakopane, at the Pszczyna Castle, in Great Britain, Germany, the Czech Republic, and the U.S. Michal is currently a full professor of the Cieszyn Branch of the University of Silesia, where he teaches piano and a number of other music courses. He is a Vice President of the Bielsko Music Society. He also organizes international master classes for young pianists, under the auspices of the University. Over the years, Korzistka has also made a number of recordings, including a live recording of his concert with an orchestra in Weston, Great Britain, a "Music in Bielsko-Biala" CD, recordings for the II Channel of the Polish Radio, and archival recordings for his alma mater, the Academy of Music in Katowice.